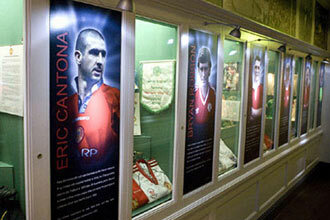 Walk in the footsteps of Manchester United’s greatest legends and see the club’s illustrious history brought to life with this Tour of Old Trafford for One Adult & One Child experience. 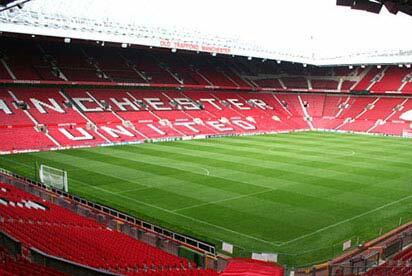 For true Man United fans it doesn’t get any better than a tour inside Old Trafford. The players may be absent, but the atmosphere and excitement still linger in the air. You will be greeted by a friendly and knowledgeable tour guide who will give you enthralling insights into Old Trafford’s rich and impressive history. You’ll hear stories from United’s humble beginnings in 1878, through the Busby Babes era and how the team rose to become one of the world’s most famous and iconic football clubs in modern times. Along the way, you will visit various stands inside the stadium. 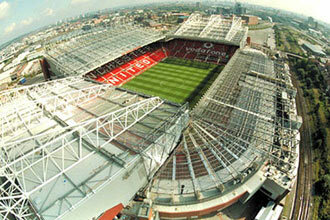 Take in a panoramic view, over-looking the pitch, from the dizzy heights of the Sir Alex Ferguson Stand. 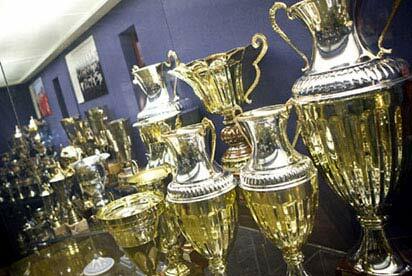 Marvel at the abundance of silverware in the magnificent trophy room. 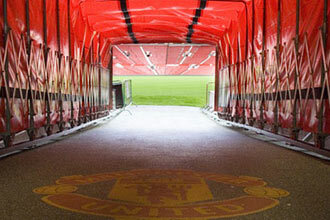 Experience the team dug-out and stand in the shoes of the club’s manager, Jose Mourinho, on match day. 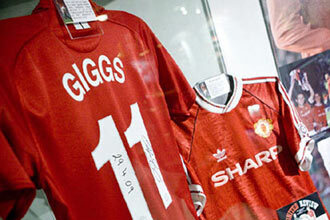 Visit the changing rooms where Man United’s world famous squad have spent many tense and season-defining moments. 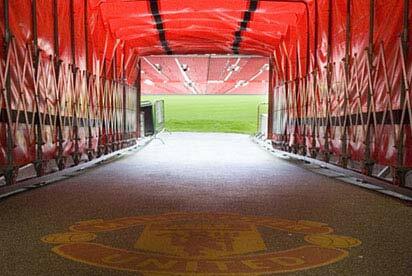 And, best of all, walk down the famous red players’ tunnel and experience the ultimate rush of excitement as you re-trace the steps which legendary players such as Sir Bobby Charlton, George Best, Eric Cantona, David Beckham and Wayne Rooney have walked. Imagine the nerves and excitement they feel as they inch closer to the pitch on game day, furiously cheered on by 75,000 screaming fans. The tour will finish off at the visitors centre and museum which you will be free to browse at your leisure. You will receive an annual pass to re-visit the stadium as many times as you like for a year. This voucher entitles one adult and one child to the tour. The total experience lasts approximately 1 to 2 hours. There will be other people with you on the tour. Unfortunatley you cannot bring family and friends along to watch you do this experience. The minimum age for adults is 16 years old. Children must be between 3 and 15 years old. I took my grandson to visit the stadium and we both had a lovely time. The staff were very pleasant and friendly and my grandson (a Spurs supporter!) was very respectful and thrilled to see the players shirts and lead the visitors out through the tunnel.